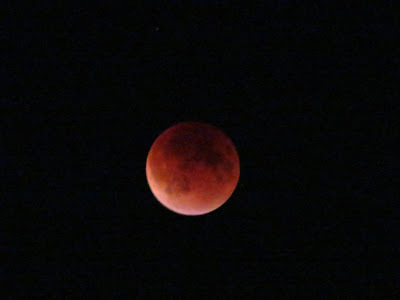 I was lucky enough to capture the Red Moon on Sunday, Sept. 27. I took the photo at 10:17 p.m. EST. We went up to Connecticut last weekend for my nephew's wedding. Which was lovely, by the way. Coincidentally, my favorite yarn store, WEBS, was a short 30 minutes from where we were staying. There are lots of ways I can describe the feeling I get when I walk into that store. "kid in a candy store" comes to mind. Needless to say, I left the store with bags full of goodies, adding a considerable amount of yarn to my already bulging stash. One thing I know for sure is this addiction to yarn is universal among knitters/crocheters. For example, a few weeks ago we were browsing around a local flea market when I spotted a fellow knitter. She was one of the vendors. She was sitting under her tent with a lap full of delicate, cobwebby, glittery yarn. I approached her, a little hesitantly, me being the shy one and all and tentatively asked her what she was making. She said it was going to be a scarf and the stitch she was knitting is called Entrelac. Entrelac is a knitting technique used to create a textured diamond pattern. While the result resembles basket-woven strips of knitted fabric, the actual material comprises interconnected squares on two different orientations. We chatted for a while. She told me about a few websites she uses to find free patterns. I admired the yarn she was using. She thanked me and talked about the number of bins in her closet which are filled with yarn That's when she admitted her addiction. I understood. Anyway back to WEBS. They have a nice sitting area, right in the front of the store, with comfy club chairs for the person who is not shopping, usually the men. Whenever we go to WEBS Ross brings his Kindle and settles himself in one of the chairs. He invariably winds up commiserating with a fellow non-knitter (usually another guy). Like many other yarn stores, WEBS displays many finished works. One of the items on display was a shawl. Actually, Ross pointed it out to me and suggested that it would look great with the dress I'm going to be wearing to the next wedding we are going to in October (my niece). 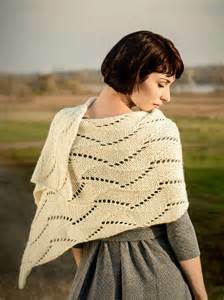 The name of the pattern is Cane Bay Wrap designed by Sarah Smuland. I chose worsted weight yarn from "The Fibre Company" called "Canopy", the color is crocus. The content is 50% Baby Alpaca, 30% Merino & 20% Viscose Bamboo. I started knitting this on Sunday by the light of the Red Moon. The wedding is only ten days away so I’m getting’ busy. I am one-third of the way done. The Doctor Will See You Now, Finally! Yesterday I went for my annual eye exam. It's one of my least favorite appointments. Why? Because my introverted personal space is seriously impinged upon. I'm referring to that brief minute or two when the doctor leans in with her pen light and our faces practically become one. I grasp on for dear life and hold my breath until it's over. By the way, I also hate those eye drops! Anyway, on the way home after my visit, I thought about how many people I had come into contact with during my visit. First, the woman at the desk. The one you who signs you in. The Greeter. The insurance card checker. The one who tells you to take a seat because, "It will be a few minutes." Person number two was the young woman who came out into the waiting room with my records folder in her hand. I'm not sure what her title is. She took me into a room, asked me a few questions, had me read an eye chart, which I looked at through a machine. Then she took measurements of my eyes. At least that's what she told me she was doing. After we were finished she brought me into another room and told me that "Someone will be with you shortly." After "shortly" the third person came into the room. He was an eye doctor. Anyway, he introduced himself as Dr. SoandSo. He also had me read an eye chart through a machine. "Is it better with one or two?" Yeah, that guy. He was the first one of the blue-pen-light-carrying-personal-space invaders. And an eye drop administrator. Once his portion of the exam was completed, he wrote my prescription. 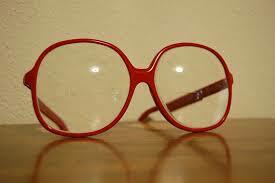 My vision hadn't changed, "But, just in case you want new frames," he said. Then, after waiting 30 minutes for my eyes to dilate, I saw my eye doctor. She's the one I actually had my appointment to see. The woman whose name is on the door. She is the other personal space invader. She determined that I needed an additional test, which required more eye drops and more close up and personal attention, and another attendant, the eye photographer. Another fancy machine that I had to stare into and not blink. "Don't blink! Don't blink!" So, the eye photographer became the fifth person I had contact with. On the way out, I met with the person who scheduled my next appointment, which will be one year from now. So, in case you haven't been keeping track, by the time I left that office, I had interacted in one way or another, with six people. I wondered about this. I wondered what effect the employment of these six people might have on the cost of my visit. 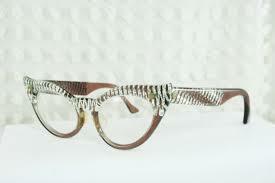 or the sparkly cat eye ones?" Of course, that will entail interactions with at least one or two more people. Like small puffs of dust being shaken off a throw rug, taking flight to destinations unknown, I have scattered bits and pieces of my life out to the blogosphere. Perhaps, I think, that could be one of the reasons I have been encountering longer periods of blogger's block. Could it be possible that I have revealed it all? Do I really have nothing left to say? A couple of days ago I decided to broaden the scope of my bloggy neighborhood. It's time, I thought, to wander beyond the safe boundaries of my tried and true reading list. Exposure to new blogs might be inspiring. 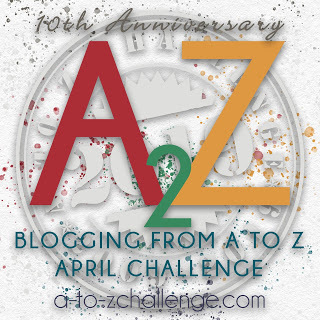 With millions of other blogs available, though, I wasn't sure how was I going to navigate past the comfortable familiararity of my corner and venture out onto the Blogabahn. Blogger, which is the app I use as my blogging tool, has a search feature which allows you to view the "next blog". There seems to be an attempt to narrow the blog selections down to what "Blogger" thinks may interest the searcher. The search box displays at the top of my personal blog's home page. Most of the blogs that came up for me were about knitting or sewing. Five out of ten "next blogs" were not kept up to date. A few had not been updated in years. I am a knitter but, I don't sew. And anyway, I already follow several knitting blogs. I can't specifically or even generally explain why one blog will attract my attention over another. I do know that I most likely will take a pass on "mother's of young children" blogs, blogs about video games or posts in which the author reviews movies or books in infinite detail. So, then I tried a generic google search and after several layers of links I actually did manage to find a couple of new blogs to add to my list. One of the blogs which I found addicting was Margie's Musings. Her posts are written in the style of a daily journal recording her mundane daily activities. I suppose it's a little like peeking through the neighbor's window. I wondered who Bob was and why he didn't come to dinner last night. I hope Margie is feeling better today, she had a stomach thing last night. 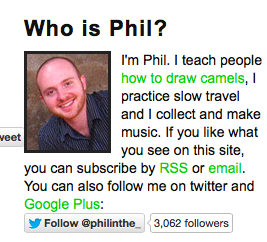 The most unusual blog I happened upon was one titled "Phil In The Blank". His "About Me" was certainly intriguing. For sure it was the "how to draw camels" that drew me in. I did leave a comment on two of my new blog discoveries and got a reply and a return visit from one, titled “Grace Found Daily”. 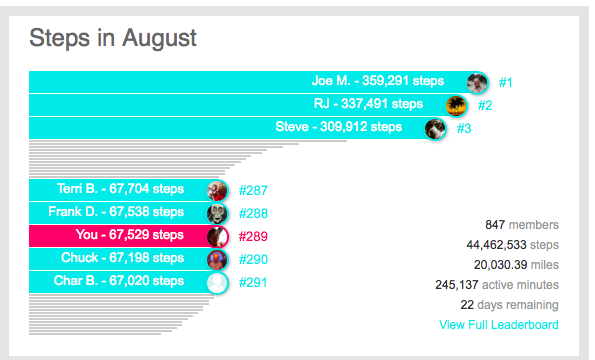 In the over 60 age group standings on August 9, 2015, I ranked #289 out of 847 members in total number of steps - 67,529 - for the first 9 days of August. Here is my final ranking for all 31 days of August. Although I didn't quite catch up to Joe M. I did move up quite a bit in the standings. I went from walking an average of 3 miles a day to 5. So, if I had walked continuously for 140 miles, I could have visited whoever lives (?) 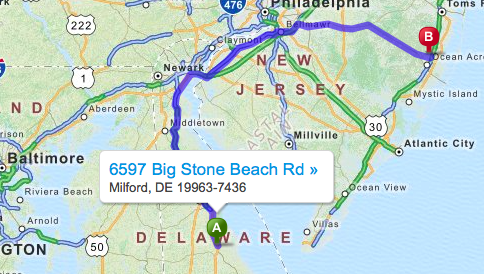 at 6597 Big Stone Beach Rd in Milford Delaware. I, of course, would have to stay for dinner before beginning the trek back.